What is the biggest disappointment you've had to deal with this week? this month? Read Hosea 1:1-3 and 3:1-5. How would you feel if God commanded you to marry someone you knew was going to be unfaithful to you? Would you obey? Why or why not? What are some situations you (or others) face today in which obedience to God is difficult? What can motivate you to obey God even when it is difficult? According to chapter three, it appears that Hosea's wife, Gomer, actually left him and became a prostitute. Even though Hosea knew Gomer was going to be unfaithful, how do you think he felt when it actually happened? How did Gomer's unfaithfulness provide an illustration of Israel's unfaithfulness to God? As a group, make a short list of the many things God did for Israel through the centuries. Then make a short list of the ways Israel was unfaithful to God. In what ways are people unfaithful to God today? Our small group for moms faced a dilemma: What should we do with our kids while we met during the summer? Our solution: Bring the kids along, and make them the focus of the meeting. We have done this for the last three summers. It has the advantage of providing continuing fellowship for the moms (we would go crazy without some adult conversation), as well as giving a "program" for the kids one morning a week. We get a chance to have some spiritual input into our children's lives; we also use the gathering as an opportunity to invite our nonChristian friends. If this sounds appropriate for your group, we offer this advice from our experience. Don't let one mom do it all. Rotate the meeting place from house to house. The mother who offers her house should not provide snacks, do the teaching, or plan activities—picking up all those toys before and after the meeting is enough! 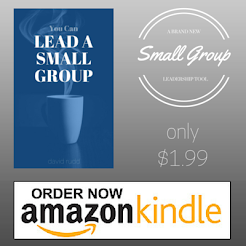 When our small group started, we did not know each other well. One idea that helped us get to know each other was the cup game. My husband gave each person 20 questions with space for answers. The questions ranged from the lighthearted ("What did you want to be when you grew up?" "What is your favorite TV show?" "What is your favorite season?") to the more serious ("How did you become a Christian?" "Who is someone you admire?" "How would you describe your teenage years: horrible, OK, or better than expected?"). He instructed people to answer 10 of the 20 questions. It didn't matter which 10, although he encouraged them to answer a mixture of fun and serious questions. Everyone was then directed to drop one answered question into each of the 10 cups on a nearby table.